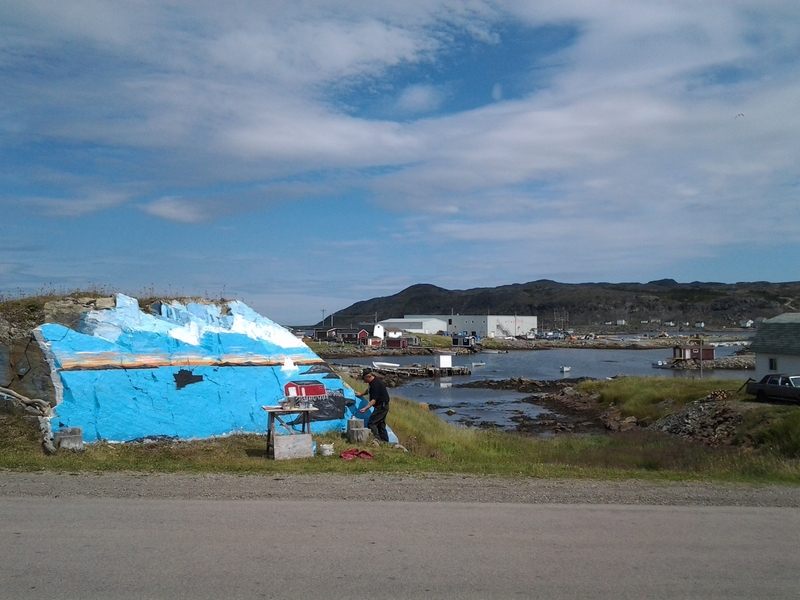 Raymond Freake painting a mural in Fogo. 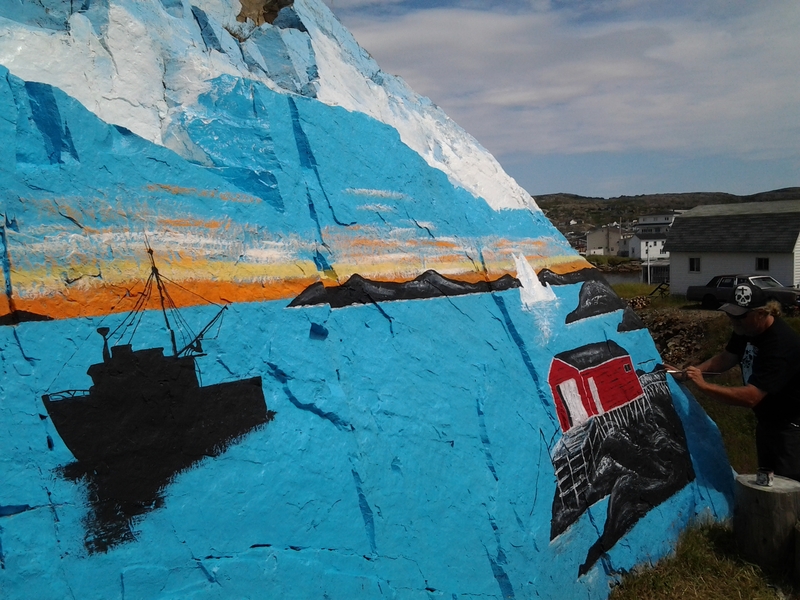 On a quick visit to the community of Fogo, I had to stop and take a picture of the painted rock, or perhaps I should call it, the rock being painted. For as long as I can remember, the rock across the road from Peg’s B and B was painted with a local scene. 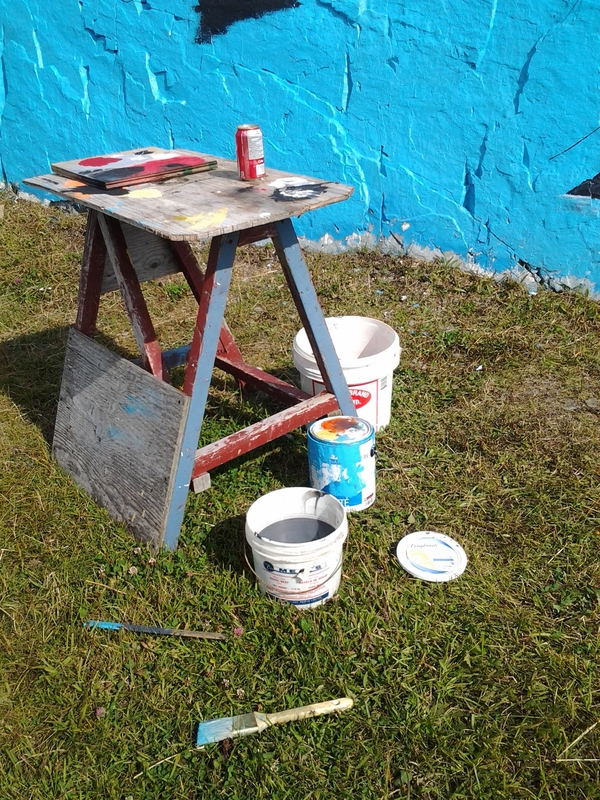 On this day, I stopped to find evidence of art in progress but initially, no painter. 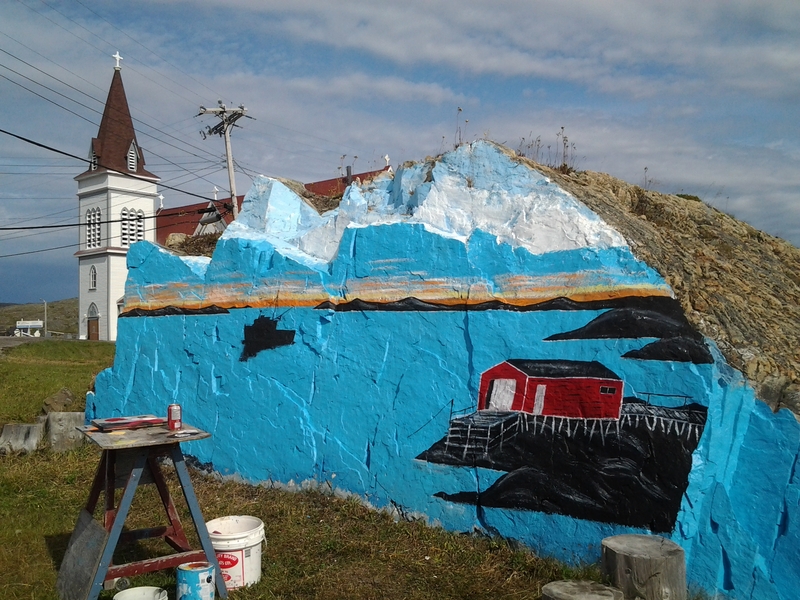 The painted rock in Fogo was getting a facelift. I did a great walk through the church and took a few pictures before moving on. On my return, I was lucky enough to catch Ray working and stopped for a quick chat and took a couple of more pictures. Raymond Freake told me he’s always been doing art and only recently has made an effort to make his work more visible. He had a collection of painted rocks and other works for sale in the back of his van but was also working on a great scene to welcome everyone to Fogo. He does commission work and although many people know he paints scenes with fishing stages, his talent is not limited to this. His facebook page, Ray’s Art, is one way to contact him or watch for his van not far from the painted rock. He also has primed rocks ready for people to select the rock they like and he’ll customize it for them.